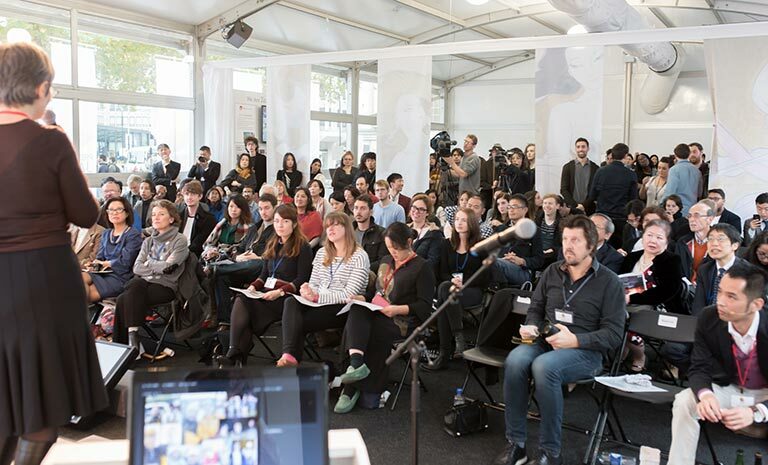 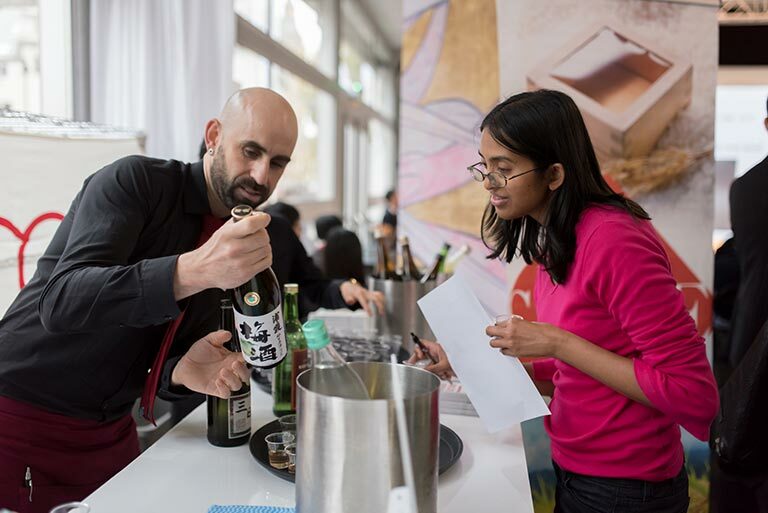 A seven-day extravaganza of lively art, Japanese cuisine and sake was held at the Japan Pavilion at the Queen Elisabeth II Centre, timed carefully to coincide with the most climactic week of the 2015 Rugby World Cup. 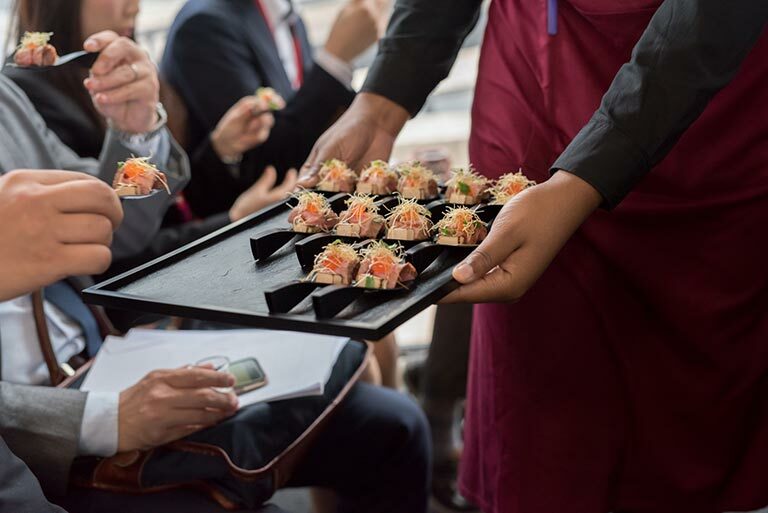 A cultural food reception set the tone of the week, with MAFF Japan and the Japan Sake & Shochu Makers Association co-hosting a seminar series designed to expose the best of Japanese food, drink, art and hospitality. 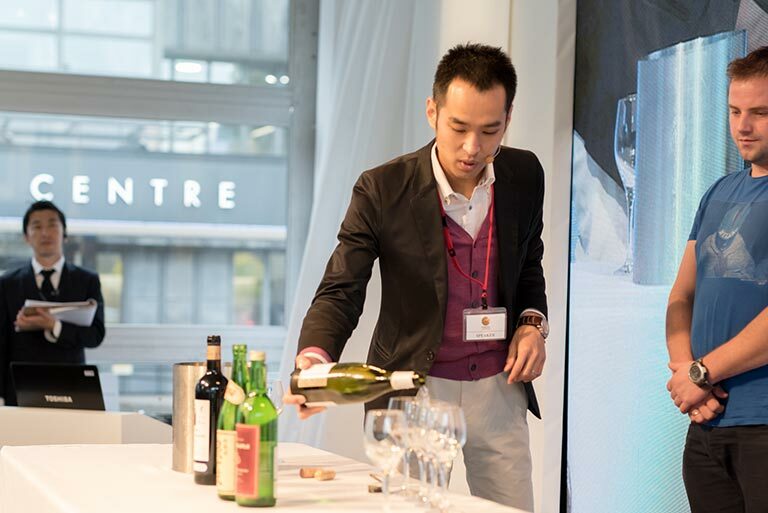 Following the speeches of the organisers, Yoshitugu Minagawa of MAFF and Yoshiro Okamoto of the Japan Sake Brewers Association, Rie Yoshitake delved into the prospects of UK sake market, past and present. 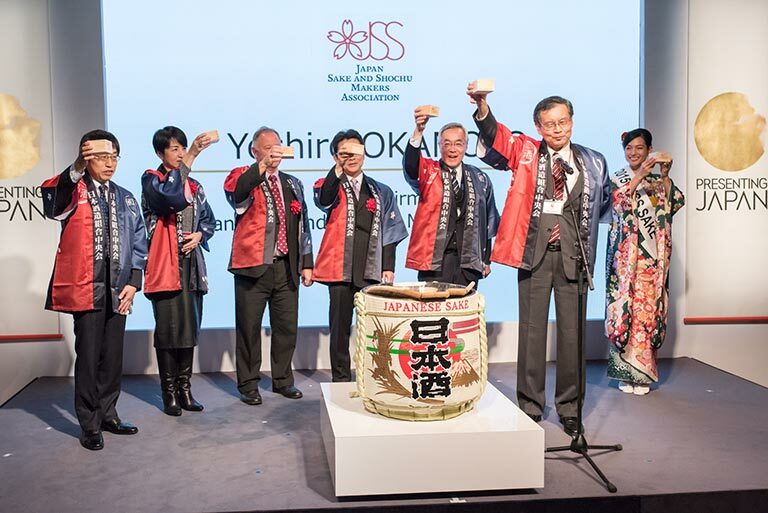 Tokube Masuda, the 14th generation of Tsukino Katsura brewery in Kyoto spoke on behalf of the sake makers of Japan and emphasised the importance of maintaining the nation’s sake-making tradition. 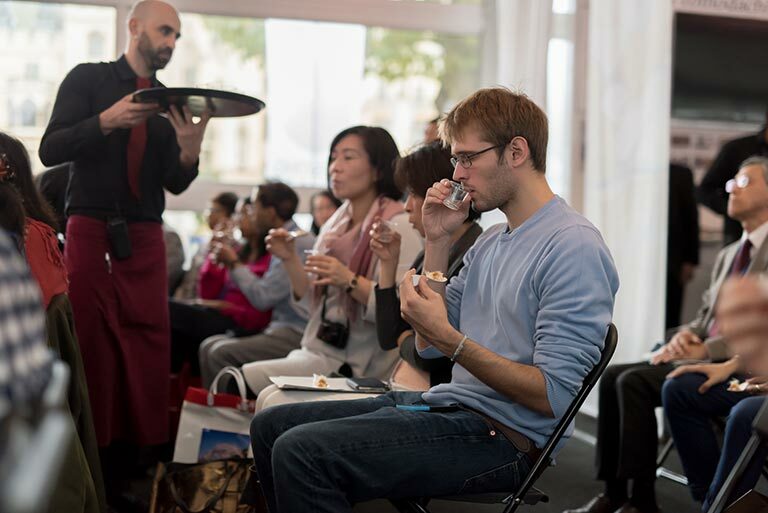 Ryosuke Mashio, head sommelier of two Michelin-starred UMU Restaurant demonstrated the art of pairing sake with food. 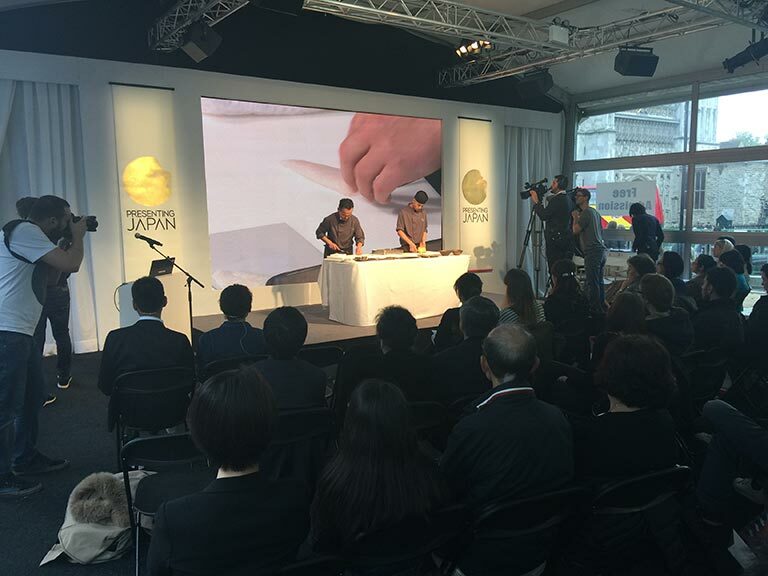 The second act came with a greater focus on Japanese food culture, as seen through the eyes of a stunning line up of chefs and food authorities. 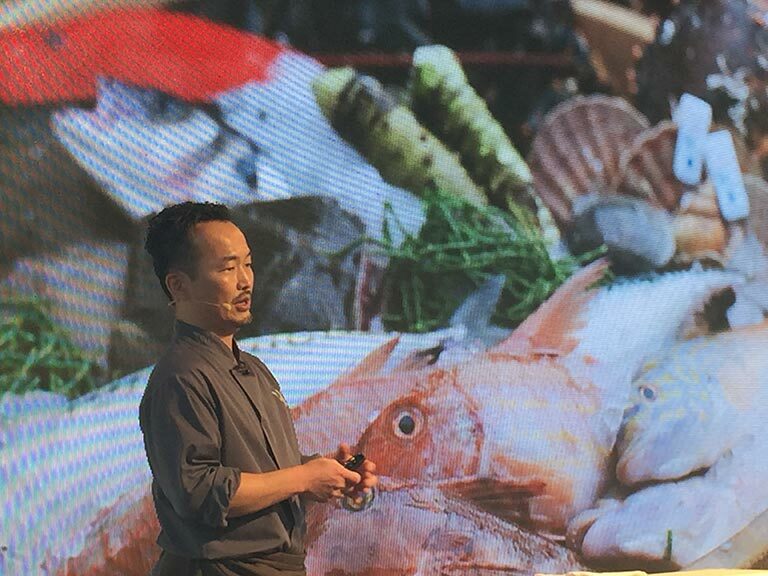 Yoshinori Ishii, UMU’s award winning chef, held a live demonstration of the Ikejime technique, which served as an introduction to his ongoing project Fish and Chips Revolution. 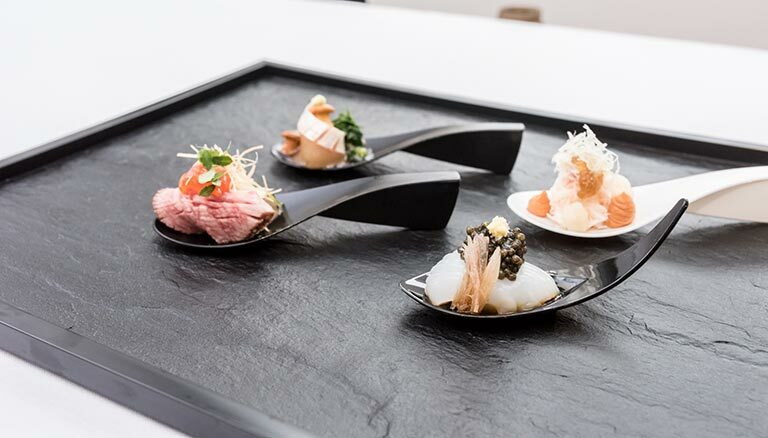 Sybil Kapoor, food writer, praised the ethos of Japanese food culture as an art derived both from man and from nature, and Brett Graham of the Ledbury Restaurant revealed his passion for Japanese food culture as non-Japanese chef. 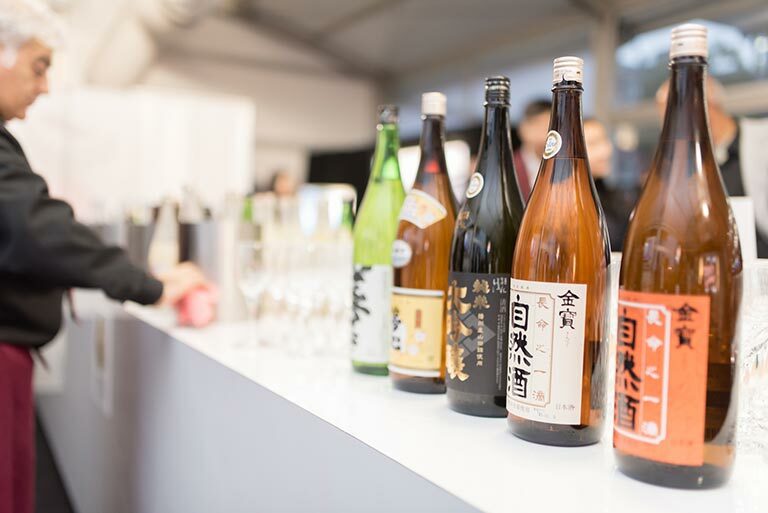 Throughout Presenting Japan week, a generous flow of Japan’s national rice liquor was provided to international visitors, world media and Londoners from the sake stand, where the stream of merry visitors never subsided.